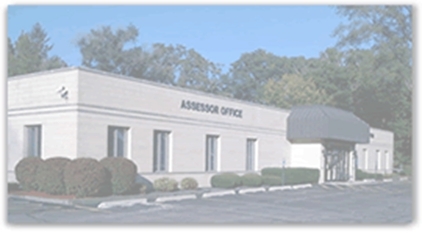 The assessor determines the assessed valuation of all properties within a taxing district, and when added together, the total assessed valuation of that tax district is determined. However, this is only one half of the process. The other half of the process is the budgeting and spending functions of the local taxing bodies. Local tax districts set their budgets each year. Before Tax Caps, when assessed valuation increased by 10% due to market value inflation, taxing districts could ask for and receive a 10% increase in tax revenue. Large tax increases were caused by inflation driven property value increases AND large budget increases requested by local taxing districts. In short, local tax districts benefited from the inflationary market value increases of local properties. In 1991, the General Assembly passed the "Property Tax Limitation Act" better known as the "Tax Cap" law. Because of this law, overall tax increases are now limited to 5% or CPI, whichever is less, each year. Even when assessed valuation increases by more than 5%, tax districts can only receive 5% more money than they received the previous year. When assessments increase by more than 5%, the tax rates are automatically forced down. Tax caps were not intended to reduce property taxes or even freeze them. They were designed to allow reasonable increases in revenue dollars for tax districts while protecting property owners against excessive tax increases each year. If a tax district needs more than a 5% increase, they may ask the voters for a higher increase by referendum. If the referendum passes, then taxes will increase by more than 5% in that district. Since 1991, property taxes have increased at a much slower rate than in the 1980's when tax bills were increasing at an average rate of 10 to 15% annually and in some years even higher than 20%. The General Assembly is constantly asked to repeal the tax cap law or amend it to allow higher tax increases without referendum. If you are concerned about higher tax increases, click below.